When I am truly passionate about something, I'd go out of my way to make it mine. 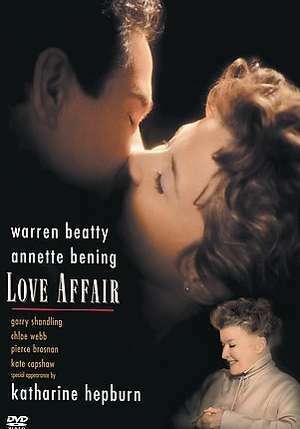 Anything from a favourite Film to DVD that I fancy, I won't rest until it's in my possession just like this Love Affair DVD, which I finally found in a store all the way in Melbourne! Warren Beatty stars as ex-football star Mike Gambril who meets Terry McKay (Annette Bening) on a flight to Sydney. Already engaged to be married, these soul mates fell in love and plan a secret rendezvous several months later. Sadly, one of them is seriously injured on the way to the meeting; leaving the other waiting and wondering alone atop the Empire State Building. After watching this ultra romantic movie for the first time, I immediately fell in love with it. I went on a massive hunt for a DVD copy. I visited almost every DVD store in my neighbourhood and even asked all my good friends to keep an eye out for this movie. But no store carried this movie on DVD and no friend came back to me with good news. Eventually I found a store selling one copy but it was in VHS and who watches VHS anymore right? 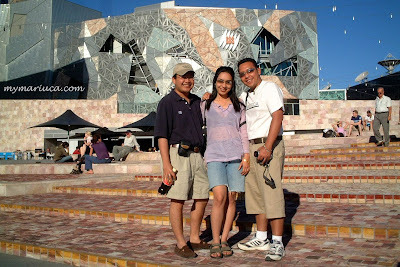 So I held out, refused to buy it and it was only years later when B and I visited our buddy Zeff in Melbourne that we finally found my Love Affair DVD! Love Affair is now safely nestled in my DVD shelf and I've watched the movie more than 10 times ever since we found it on our Melbourne vacation. And every time I watch it, I am wistfully reminded of beautiful Melbourne and how it reunited me with my Love Affair so many years ago. How about you? What's your all-time favourite love story? wooo.. yet to watch to this show dearie..
Hmm... your post made me think about my all time favorite love story and I can't come up with any particular one. Too many like Monica ;) . I never have seen Love Affair. You made me curious. I got to look for it :) . Have a great week, dear. :* :* :* Monica FC1!